When we set out to make the absolute best leader for pike/muskie, there was only one choice… Tyger wire. 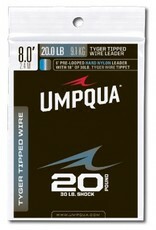 The industry leader in providing the strongest coated wire, Tyger Leader allows any favorite knot to be easily tied. 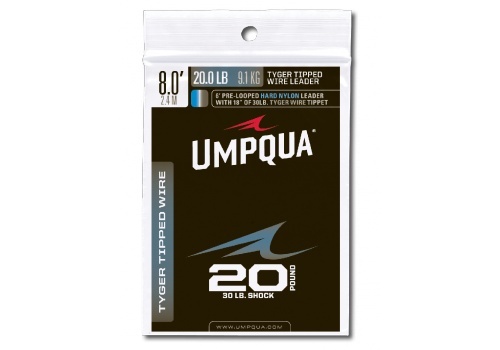 This leader has 6' of hard nylon professionally albrighted to 18" of Tyger wire tippet. The very best choice for Pike and Tiger Muskie.